Welcome to my profile! 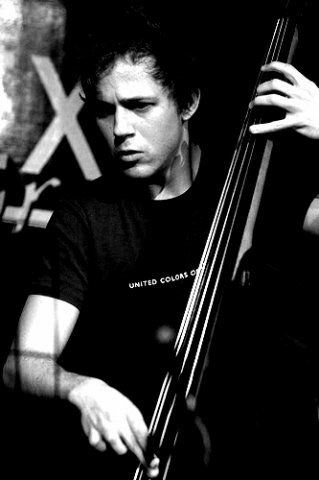 My name's Philipp , I'm a North London based pro bass player, having toured, recorded & performed in the USA, Canada, South America, the UK and several countries in mainland Europe. I have previously taught double bass & bass guitar both privately and at festival academies, such as the annual Outreach Austria Academy (www.outreach.at). All levels are welcome. Every student is different - I believe it's crucial to work out a personalized lesson structure at first encounter. The prospective student tells me about his / her musical background and goals they want to achieve. We would then proceed to what I call the ' Musical Health Check' and find out what area needs working on, i.e. rhythm, harmonic knowledge, ear training, sight reading, technique etc This is all dependent on the tutee's individual route. I describe my approach as 'immediate ear to instrument' language, which focuses on combining theoretical and aural information, to be executed practically in the most direct possible way. Diploma Bass School Munich. BA (Hons) Liverpool Institute For Performing Arts. Master of Music Royal Northern College Of Music Manchester.